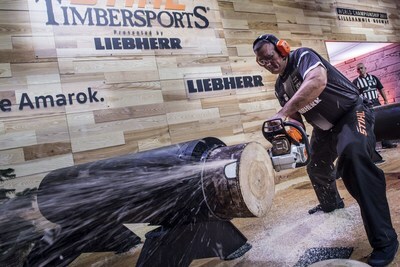 After 2012 Lillehammer again hosted the STIHL TIMBERSPORTS® world championship. 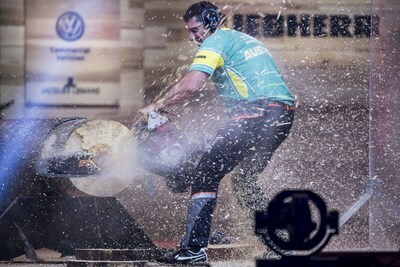 The best logger sports athletes of the world battled in front of 5,500 spectators in the Håkons Hall in top-class competitions. 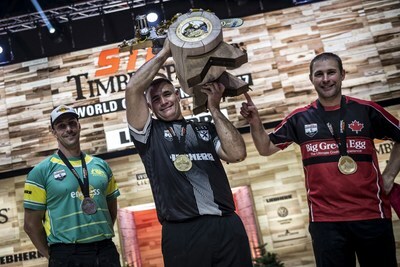 At the end of the electrifying single competition, Jason Wynyard from New Zealand secured his ninth world championship title and relegated Australia’s Brad De Losa and Canada’s Mitch Hewitt to second and third place. From the very beginning, Wynyard showed a strong performance and fought his way through the leading group. He took the lead by setting the day’s record in his showpiece discipline Single Buck. Wynyard took advantage of his lead and didn’t let go of it until the very end. “The title means a great deal to me. At the end, it all comes down to the Hot Saw and here the smallest details matter,” said Wynyard. On Friday, the New Zealanders took the title in the team competition. The “Kiwis”, led by Jason Wynyard, defeated the Polish team in the final and grabbed their fourth title. The big favourite from Australia surprisingly lost against Poland in the semi-final, because they received a time penalty due to an early start. Meanwhile, the Poles fought the competition of their lives causing a major upset. The Australians defeated the Canadians in the small final and finished third. 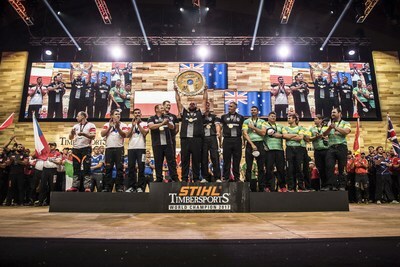 In 2018, the STIHL TIMBERSPORTS® World Championship will, for the first time, take place in Liverpool, England. On October 19 and 20 the best athletes from across the globe will compete for the Individual and Team titles.